It’s the lifeblood of any online business. Without it, generating leads and feeding the sales funnel is next to impossible. In this tutorial, I’m going to show you how to find ALL the low hanging fruit on your website and turn it into quick traffic gains. It is the first thing I do when performing content audits for new clients. In this tutorial, we’re going to be focusing on “rankings” data. Specifically, which keywords you have historically ranked for, as well as the keywords your site is currently ranking for. This will provide visibility into the immediate growth opportunities on your website. There are only a small handful of tools out there that provide quick access to both historical and real-time rankings data. The tool we’ll be using today is SEMrush - it's my go-to keyword research tool. We'll be relying a lot on SEMrush to collect and analyze the rankings data. If you want to get access to all the tool's features and be able to follow along step-by-step with this tutorial, click the link below and get free access for 30 days. Note: If you want to dive deeper and explore all the tool’s feature, check out the 10,000 word review I put together here. For the tutorial, I’ll be using this blog to demonstrate the process. Quick side note: Big shout out to my friend Nick Eubanks over at SEOauv. His “﻿Master Keyword Research in 7 Days﻿” course introduced me to the strategy outlined in this post. This report will show all the keywords a site currently ranks for in the top 100 search results in Google. For example, you can see my blog has roughly 1,900 keywords ranking in Google’s top 100 organic search results. If I was to bid on this same subset of keywords in AdWords, it would cost me about $8,800 a month. In less than a minute you’ve managed to find all the keywords your website currently ranks for, along with a number of other valuable data points. The next step is to export this data into an excel spreadsheet and extract actionable insights. Click the button and download the data into an excel spreadsheet. You can see in the screenshot above that the column headings align exactly with the table headings shown within SEMrush. Click the dropdown arrow at the top of the “Search Volume” column and sort from largest to smallest. This will return a list of all the keywords your site currently ranks for in the top 100 search results, sorted by search volume from highest to lowest. There is a lot of data here, so before we jump in any further let’s add some additional filters on top of the data to make it a little less visually intimidating and easier to follow. This will instantly provide a better visual representation of the data. You can see the largest traffic opportunities from organic search, and the yellow-red highlighted cells will show all the keywords with lowest but existing rankings. This is your low hanging fruit. Note: You might not be able to realistically rank for some of the listed keywords, and some of the others may not even be relevant to your business. For example, “Reddit one piece” is a search phrase that gets 6,600 monthly organic searches, but I have no interest in ranking for it. On the other hand, there are keywords like “google adwords keyword tool”, “adwords keyword planner”, and “moz open site explorer” that are relevant to the website, but I will not be able to realistically rank for those terms any time soon. We’re not going to invest any time or energy focusing in those areas. Next, jump back over to the first sheet and start manually reviewing the keywords. This is where the conditional formatting will make your life a LOT easier. As you scroll through the list only focus on the terms highlighted in green. Very quickly you'll be able to find some golden opportunities. Head back over to the first sheet and continue analyzing the green cells. Continue pasting new keywords into the “Opportunities” spreadsheet. As you can see, this process scales very easily. What if my website ranks for tens of thousands of keywords? After all, even with conditional formatting, sorting through enormous lists of keywords is a very tedious and time-consuming task. Luckily, there is an easy workaround for this. These are the lowest of the low hanging fruit; the keywords you can target for quick organic traffic gains. The goal here is to get fast traffic gains. So, it’s important to identify which keywords from the shortlist have the lowest level of competition – the ones that will be easiest to boost rankings. The level of competition is rated on a scale of 0 to 1. Anything below 0.4 is a good target. However, if you have a high authority site you can shoot a little higher. Regardless, make it a priority to first target the keywords with the lowest level of competition. You’ll find it easier (and quicker) to improve rankings. The SEM﻿r﻿ush competition data is pulled from Google AdWords PPC data. Although this provides a decent relative assessment of competition, it's wise to look at some additional organic indicators. The #1 factor in page's ability to rank for a given keyword is the authority of the page. One of the best ways to assess page authority is to use the Moz Bar chrome extension. Pay attention to the authority of pages ranking higher in the SERPs. When there are sites with similar authority outranking you, it is a good sign quick gains can be made. Another major ranking factor is the number of quality links pointing to a page. By looking at the SEMrush keyword competition metric, analyzing page authority and competitor link profiles, there is no reason why I can't climb into the top 5 positions for the search term "seo case study". The final step in this process is optimizing the existing content to improve rankings. There are a number of ways to do this. After the shortlist of keywords has been sorted by level of competition, start analyzing the URLs ranking for each keyword. For example, my link building strategies post used to rank in position #7, but has recently fallen to the bottom of the first page. After looking closer at the content, I quickly get a good idea as to why that might have happened. The content is due for a refresh. Publish date: Make sure you're updating content every 6-12 months. Detail: With over 2 million blog posts published every single day, competition is more fierce than ever. Audit the competition every 6 months and make sure your content is still the most in-depth resource on the topic. On-Page SEO: Make sure all key o﻿n-pag﻿e elements - title tag, heading tags, URL, internal links, anchor text, LSI and alt text - are optimized for the seed keyword and long tail variations. Backlinks: The number of quality inbound links pointing to a page is still a top three ranking factor. Look at the link profile of your content and cross-compare it against the competition. Look for at how (and where) the competition is getting links, and replicate them. Behavioral Signals: I'm a firm believer that UXO is fast becoming the new SEO. With the development of more advanced machine learning and the evolution of Google's RankBrain algorithm, user intent and behavioral signals are quickly become the most important ranking factor. As a result, webmasters need to be doing everything they can to secure high click-through from the SERPs, lower bounce rates and longer time on site. Optimize title tags to make them more attention-grabbing, improve page load speed and use multi-media assets like video, images and infographics to keep people on your site longer. Internal links can also help channel readers deeper into your site. Back in 2014 I wrote a monster review of the SEMrush tool. The post ranked bottom of page one for a number of search terms that sent a stream of organic to the blog. I performed the keyword research exercise outlined above and noticed that rankings for the post had been sliding in recent months. I'll be applying this strategy to several posts on the blog over the next 90 days and predict it'll increase the blog's organic traffic 15-20%. 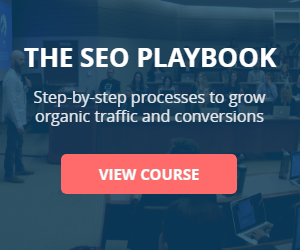 Are you ready to get quick organic traffic gains? Focus on extracting more traffic from your existing assets. It’s one of the easiest and most scalable ways to see quick organic traffic gains in any industry. Superb guidance, Robbie! I’d also analyse the competitors, how many internal links and what anchors they have (using Screaming Frog). Out of my experience in SEO, internal links are highly underestimated. A few accurate links from strong pages and a required anchor can easily improve the positions (but first look at how your competitors have done it). Wow this is 2nd Article i am reading on your site and it really awesome written, thanks for sharing. Glad you like it, Mohan! Glad you enjoyed the post! Let me know how you go. Excellent article, Robbie ! I actually use almost the same approach for my sites, just instead of Semrush I use Search Analytics of Google Search Console and it works great. I agree with Micheal also about internal links from strong pages to the page you are trying to rank for, they have positive impact. Great, thanks Burim! It’s a solid strategy many people overlook. Great for quick wins. The information you shared will help to provide a good knowledge on keyword research. To find the best keywords, it’s good to analyze what your target audiences are looking for and on what keywords your competitors are ranking for. Awesome post Robbie.. Learned a lot of insights. Recently I’ve been loosing a lot of traffic and frankly speaking, is there a post on your blog where you show how to rejuvenate dying business? started a blog which targets a specific market.. market saturates, and my blog saturates.. I know, may be it’s time for a switch over. but then, is it possible to leverage the power of lsi and start again? or may be any other idea? I have plans in the near future to write a case study on how I’ve been taking posts from page 2 to #2 in Google with content relaunches. Still running tests, but plan to get something out in November for this. In the meantime, don’t view saturation as a bad thing, necessarily. Where there is competition, there is opportunity. I’d think more about how you can create a unique position in the market. For example, my blog is in the IM space – one of THE most competitive niches online. I’ve tried to position myself based on depth, case study and “actionability”. I’m also starting to niche down the focus more to SEO topics for now. Hope that helps. How can you do things different? Thanks for the awesome reply.. Yes it’s true! I’ve not been very in-depth in approach. I’m also into one of the competitive niches (Smartphones is my broad category). I guess i’ll have to narrow down to something specific.. Thanks Karthik! Always start small and expand out. Awesome! Let me know when your case study is live. Love to check it out! Can we use h2 after the h3 or h4…. From a pure info hierarchy standpoint, I recommend keeping h3/h4 below the h2. But, I know sometimes it can make sense to re-introduce down the article to more clearly highlight a section. In that case, it won’t hurt you. Lots of sites do it, and rank fine. Robbie you are the best. Thanks for this simplified Keyword Research tricks, it would definitely get me some fresh traffic to my blog. Thanks Arjunan! Let me know if you have any questions. I really like these types of information with really good ideas to help with keywords, or anything SEO related. Great Stuff! Keep ’em coming! None of my keywords are ranking for my site. I have two press release backlinks which is good but I need to learn how to rank my keywords. That is the tutorial I would like to see. Thanks for the post. 1 quick question. Is there any FREE alternative of samrush which will show keyword list with rank and competition? I haven’t found a tool that gives you that level of detail for free. But – Search Console can give you some good insights around keyword rankings, impressions and clicks. I use SEMrush for keyword research and I think this tool has helped me a lot. Google search console gives good data about my site but SEMrush helped me in tracking my competitors and outrank those on my favorite keywords. Thanks, Robbie. Conceptually this is a good method to identify and capitalize on immediate SEO opportunities. This is a nice walkthrough of how to pull data down out of SEMrush as well. Appreciate all the screen shots. SEMrush does cost money, and after the 30 day trial you can get similar information straight out of Google Analytics/Search Console/Keyword Planner for free. There is a tradeoff as Google’s tools are not as easy to use. But once you get the hang of it you can get to the same place and, like I said, it’s free. If your business is far enough along that you are making some money and can swing it, then go for SEMrush and save yourself the time. Thanks Kevin! Yes – you can definitely get keyword data directly from Google. I’ve been using and relying on SEMRush for so long now, it’s easy to forget 🙂 Agree with your point. SEMRush is a good option if you have the funds, and workload to justify the investment. Let me know how it goes, Deepika! Robbie, it’s my first comment on your blog. Thes tricks are the key to improving our SEO, thank you. Keep roll-on! Thanks for stopping by Utsav! Hope the content helps! Hey Sikh! No worries. Completely understand. Both tools are fantastic. I personally find the keyword data better for SEMrush, and the backlink data better from Ahrefs. Are you referring to the keyword tracking document? Let me know if you were talking about something else. I haven’t used SERPstat, so can’t really provide much guidance there. I’m guessing they have similar ability to export organic keywords a site is ranking for? Yes, with competitor backlinks analysis and many more functions. I’m new to your site, and new to linkbuilding, as well. I’ve already learned some SEO moves I’m going to start trying, as soon as I stop going from article to article here. Thank you! Access to SEMRush is really tricky. Th 30 days “free” are a part of agreement/contract. What a shame that is not possible to have access for 7 days or 1 for lower cost than all bundle. If you would be so kind to ask Craig for that, it would be wonderful. As always Richard….PHENOMENAL! Loved it. Such specific and actionable advice. Thanks! Nothing short of brilliant! Thank’s for this tutorial Robbie.